A years ago, PMBC hung some miniature basketball rims in the Dining Hall to add some fun recreational options during the winter. To our surprise, these hoops were a hit! The mini hoops served as an equalizer to those who aren't so gifted at basketball and to those who are. The smaller rims added an element of difficulty for even the more skilled ball handlers to make it challenging. After these mini rims ran their course, PMBC replaced them with the top of the line mini basketball hoops made by Just in Tyme Sports. These hoops are 12" in diameter and built with 1/2" steel to handle all of the slam dunks one can dish out. We're excited to offer this fun recreational option to campers and retreat guests! 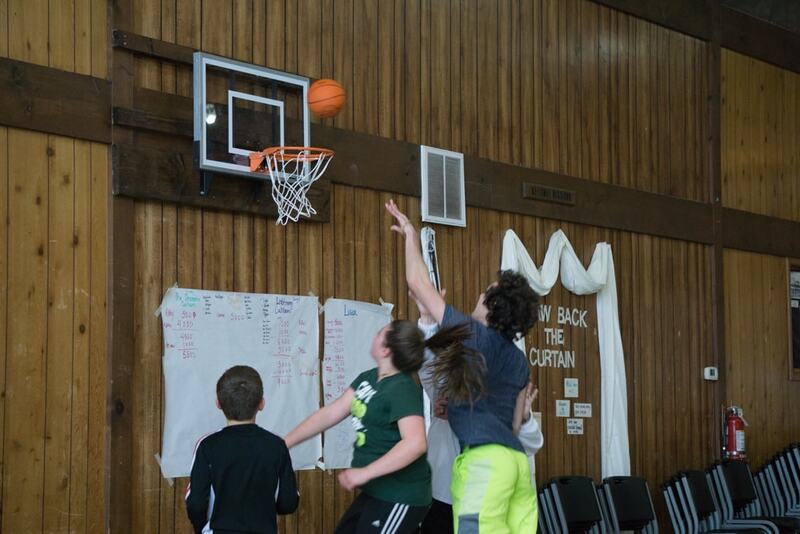 Help us continue improving camp, donate today!